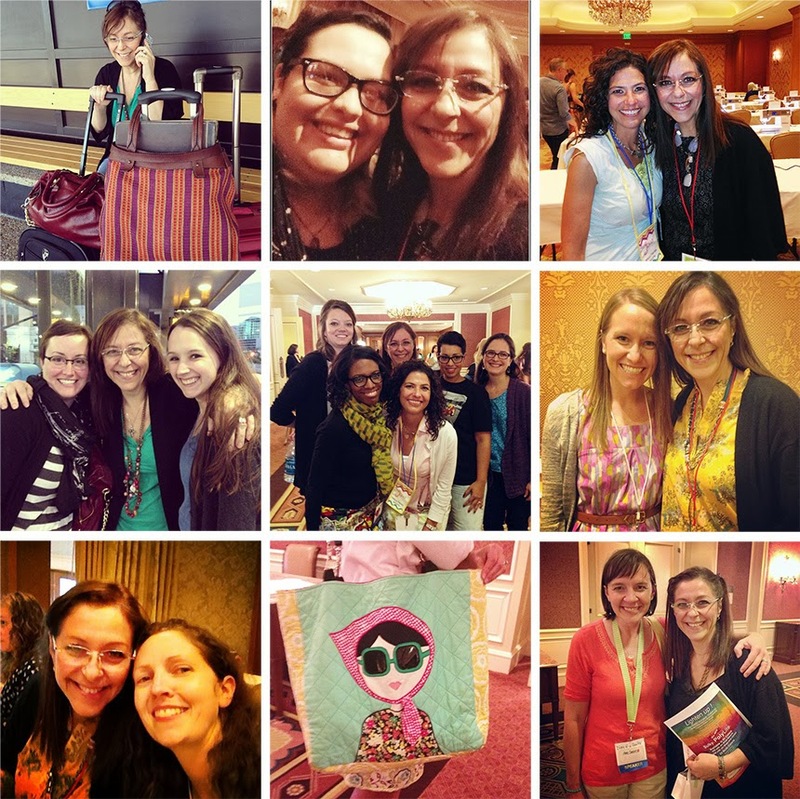 I'm back from Sewing Summit and all I can say is that I miss it already! It was truly one of the most memorable experiences I have ever had, having taken part in this wonderful gathering of sewers and quilters alike. I had the pleasure of meeting some wonderful people and getting to know them was definitely the highlight of this event! Here's a little recap of all the special moments I shared. 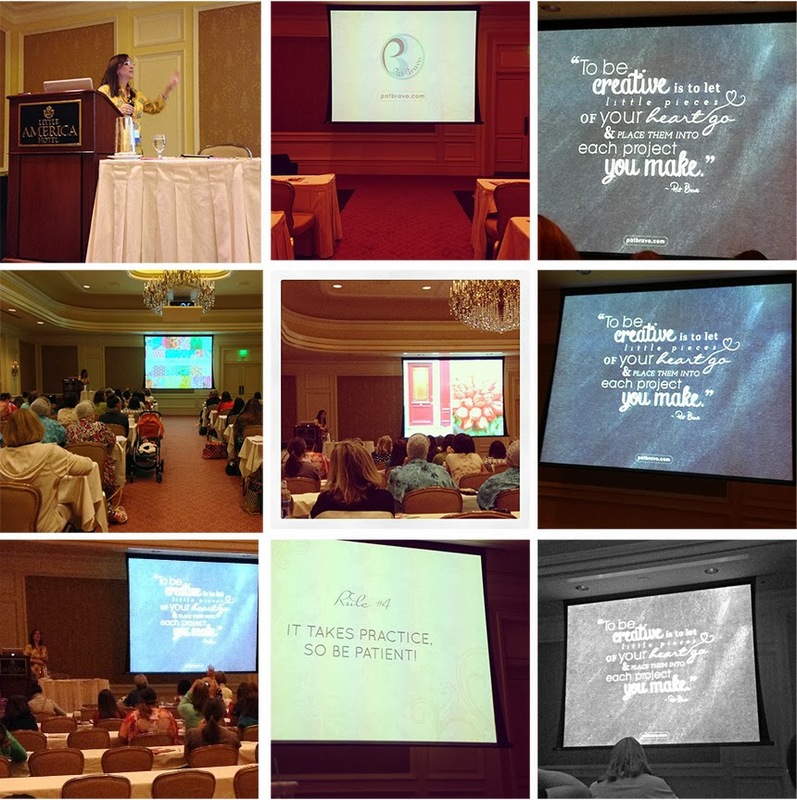 I was so honored to teach my class on fabric design named "Designing Fabrics from the Heart." I had 80 students attend! Can you believe it? I was so thrilled that they all came to see me, I could not hold back how happy I was. I was beyond ecstatic to find out that many of my students were inspired and enjoyed at all the information I had to give, that they even shared their moments in my class with the rest of the world! Many people took away my quote, "To be creative is to let little pieces of your heart go and place them into each project you make." 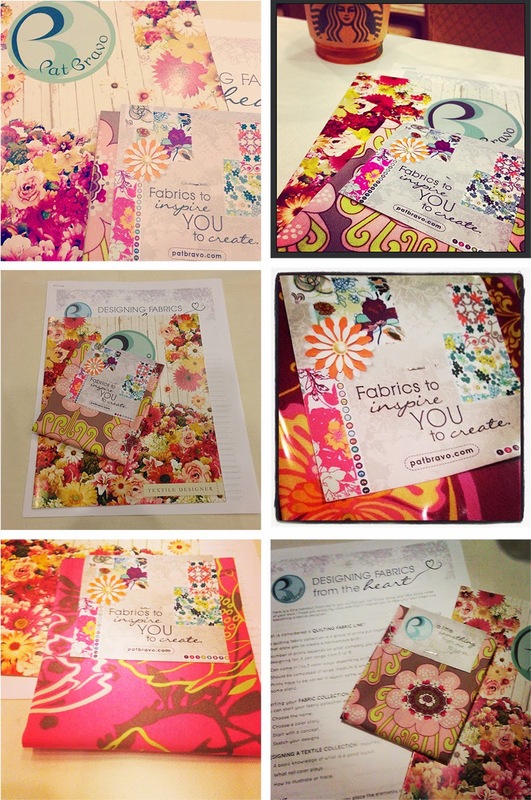 I was also happy to see that everyone enjoyed their handouts and fabric samples. Great pics everyone! Can't wait to see what you all do with those goodies. It was also great to see old faces and finally meet online friends in person! It's events like these that truly let you connect with all the great friends you have around the world! And finally, the BERNINA sewing room was AMAZING! It was open until 1 a.m. every night with two rooms that had the 780s (the same baby I have at home) and the 350s! Sewing at night with such wonderful and creative people was a great experience, one that I will truly treasure. And not only did I teach a class, but I was able to take some as well. English Paper Piecing taught by Kaye Prince (Miss Print) was a fun and easy class that taught you the basics on how to get started. I learned a lot of interesting things with Ellen March's (Sew It All TV) Getting Published in a Magazine. And Jeni Baker's (In Color Order) HTML Basics for Bloggers was definitely chockfull of information on how to code and design your heart away on your very own blog. Now, for a little tidbit of what I taught, I'll leave you with a few rules that I feel are important when it comes to fabric design! You have to design following your heart! You have to love the colors you work with! You have to deliver each & every time! It takes time, so be patient! Always know the audience you are designing for! I really hope I can make it to Sewing Summit one day. I'm angling for next year, but flying internationally isn't necessarily cheap! And I hope that if I CAN make it, that you will be teaching again! Any chance of a recap of your class on the blog?! Oh my...if I was there, I would think I died and went to heaven!! I would have been the 81 in your class for sure and so hope I will be in it some day! (next year?) You should do an on-line class too! (although I am sure that can't be the same as live, but second best? :) ) Thank you for all the inspirations! 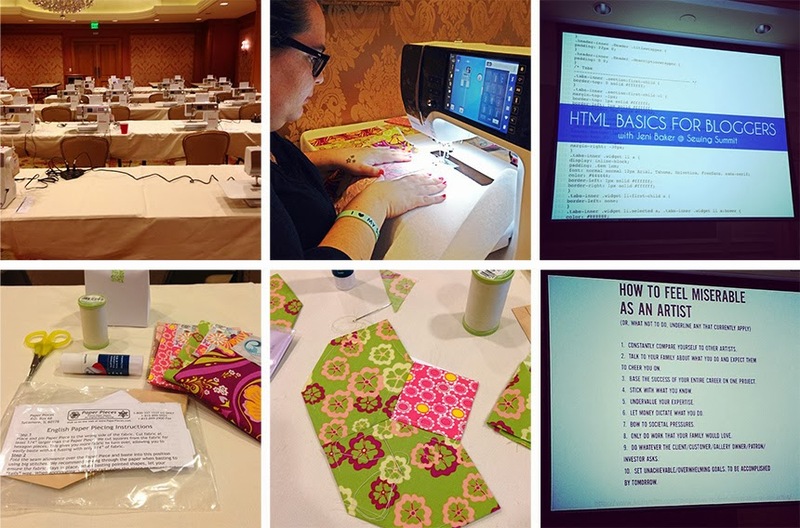 Pat - it was so amazing to have you at the Sewing Summit this year! Your enthusiasm for this sewing world is contagious. Thank you for sharing it so graciously! I loved seeing you! Good luck with all the Market prep! Pat I truly enjoyed your class, you taught us a lot. I really enjoyed meeting you and hearing how you started designing fabric. Love your fabric and I have since added a few more to my stash at home.